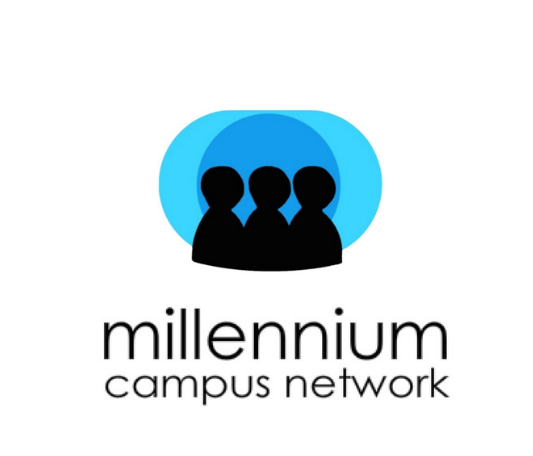 The Millennium Campus Network (MCN), Inc., is a global student network advancing the United Nations Sustainable Development Goals. MCN programs convene, challenge, and celebrate student leadership for social impact. The network, celebrating its 10th anniversary, has worked directly with over 5,500 young leaders from 300 universities through its programs. 75% of MCN alumni are now in social impact careers; over half share MCN programs definitively prepared them for success. MCN Advisors include Dr. Sakena Yacoobi, Dr. Jeffrey Sachs, Dr. Paul Farmer, and John Legend. Millennium Campuses include Georgetown University, Brandeis University, and Lynn University. MCN commenced in 2008 with its annual Millennium Campus Conference, which has been hosted at global institutions including Harvard University, the Massachusetts Institute of Technology, and at the United Nations in New York. MCN expanded its programming by launching the Millennium Fellowship in 2013 to deepen its training and support of undergraduate leaders committed to strengthening communities. More on MCN at http://www.mcnpartners.org. MCN is a 501(c)3 tax-exempt non-profit organization with its global headquarters based in Boston, Massachusetts, USA. In 2018, MCN and United Nations Academic Impact have partnered to take the Millennium Fellowship to the next level, convening, challenging, and celebrating undergraduate leadership for the Sustainable Development Goals and UNAI principles. Please read more on this innovative partnership here.